Move over Gwen Stefani and Jessica Alba, the snowman is looking for love. You may recognize him from the classic Christmas TV special, “Rudolph the Red Nosed Reindeer” which has been a mainstay of the holiday TV season since it first aired in 1964. The Abominable Snowman, or Bumble, the ferocious character from the Christmas special hits the social scene of the North-pole and joins in on some chilly speed dating. Using his trusty Windows Phone, Bumble is aided by its Live Tiles to get quick dating advice from Rudolph, Hermey and Mrs. Claus and put his best foot forward. While his friends have his best interests at heart, it looks like Bumble is literally bumbling his way through his dates. Of course, this means there must be a sequel to show how things go for good old Bumble. They simply cannot leave us hanging as it appears this story is just now getting started. 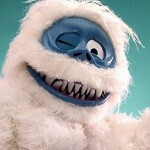 "Windows Phone...it's Abominable (in a good way)!"